Artwork by Jim Carrey this week. Pic 1: 45. 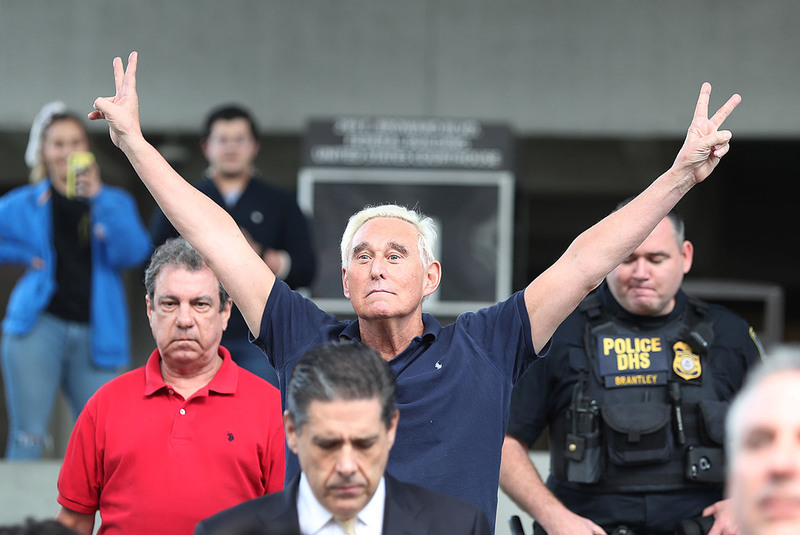 Pic 2: Roger Stone. Trump has also drawn criticism for his competence as an executive. West Wing aides acknowledge they hadno contingency plans for the shutdown, and are learning about problems at agencies though reporting in real time. Also Viktor Vekselberg, who has attracted Mueller’s attention, has a stake in Mr. Deripaska’s empire,as does Len Blavatnik, a Ukrainian-born billionaire, who donated $1 million to Trump inauguration. On Thursday, the Golden State Warriors made their annual trip to Washington D.C. as NBA champions.Rather than visit the White House, the team was seen in photos visiting with former President Obama. After the silence, protestors shouted, “No more food banks,” and, “They need paychecks!” Some staged a sit-inoutside senators’ offices, and demanded a meeting with Senate Majority Leader Mitch McConnell. Kline became director of the personnel security office in the Executive Office of the President in May 2017.Kushner was one of at least 30 cases in which he overruled security experts, approving top security clearance.